Ask DART: Is there really a ‘hidden’ Knox-Henderson rail station? 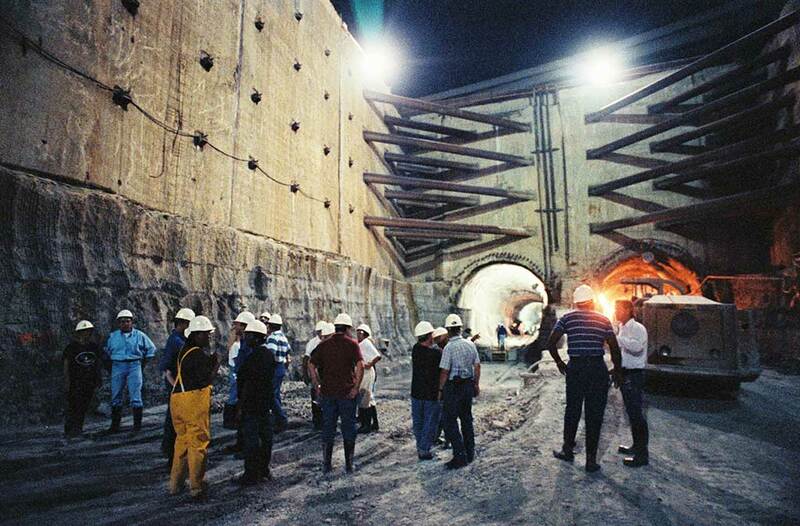 DART employees and contractors stand on the site of what would become Mockingbird Station at the opening to the North Central tunnel. From time to time we’re asked why there isn’t a station near Knox/Henderson. Eighteen years ago, the neighborhood didn’t want one. Today, while the neighborhood has changed in a lot of ways, and there are occasional requests for a station, there’s simply no funding to build one. It’s not in our long-term plans either. We’re focusing on expanding capacity in Downtown Dallas and building a second light rail corridor through downtown. 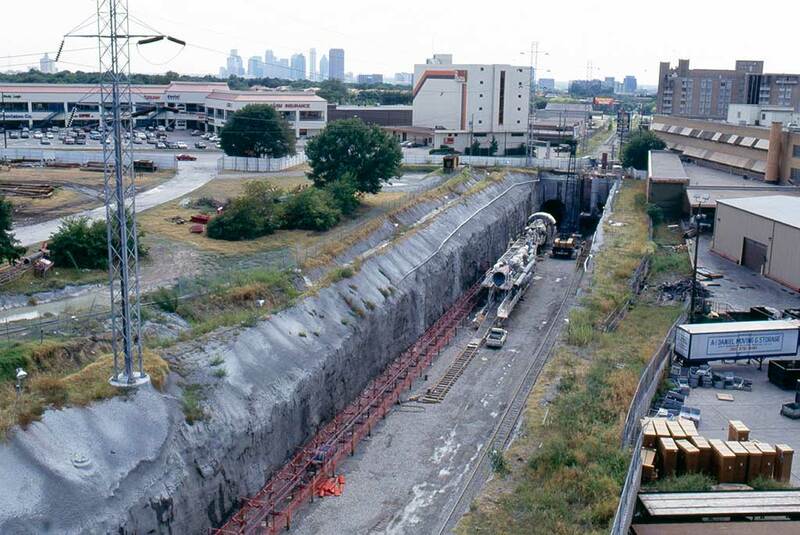 Yes, we did some excavation for a possible station under North Central Expressway when we were tunneling to connect downtown with north Dallas. If you look to the west, just after you leave Mockingbird Station headed to Downtown Dallas, you can see where we did the digging. It’s behind a concrete block wall. We thought it was a good idea to do the excavation while we were working underground in case funding became available for a station near Knox and if community opposition to a station subsided. As side note, Cityplace Station is 120 feet under North Central. It was originally planned at about 140 feet but the distance shrank when the road was rebuilt and lowered. 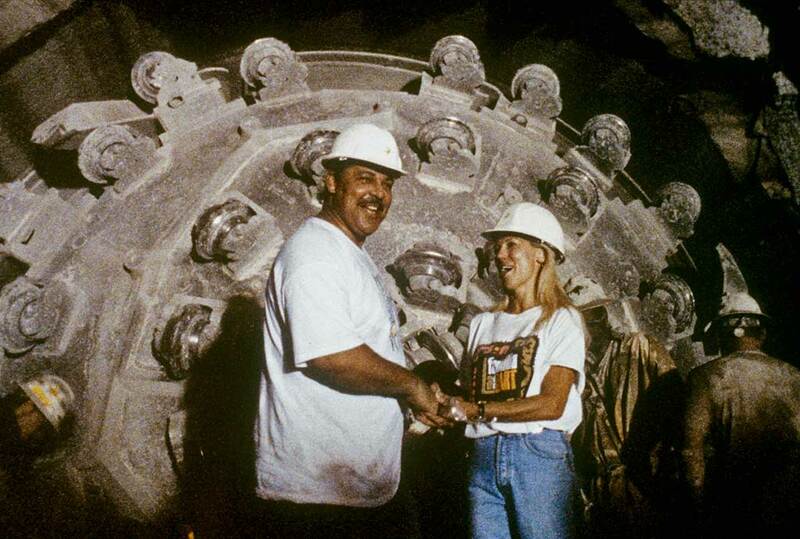 DART Board Chair Kathy Ingle congratulates Deputy Executive Director Victor Burke after the tunnel boring machine behind them completes the initial excavation of the tunnel. Looking south from Mockingbird Station, the tunnel boring machine is used to drill the twin tunnels under North Central Expressway. Mockingbird Station opened for customer service in January 1997. Cityplace Station, between Pearl/Arts District and Mockingbird, opened in December 2000. 13 Responses to Ask DART: Is there really a ‘hidden’ Knox-Henderson rail station? I always hear this as an urban legend, but turns out it’s actually true. Was the opposition to the station from Highland Park to the west or the neighborhood to the east in Dallas? It was a neighborhood to the east. It’s there. When I first moved to Dallas I commuted from Lake Highlands to Downtown on the Blue Line. This is a point mid way in between Mockingbird Station and Cityplace you can feel your ears pop, if going inboud look to your left and you can see the center blocks in the wall that seals the space. Funding needs to be found, especially with the new projects going up on McKinney and Cole Avenues. This station can and should be finished sooner, rather than later…..
A lot has changed in 18 years. How long will we keep using opposition from the 1900s as an excuse for why this station cannot be built now? I think this shows exactly what is wrong with the mentality of DART. There is too much focus on trying to connect every far flung suburb (even those who have already capped out at their max 8.25% sales tax.. cough cough Mesquite) and not enough focus on trying to connect urban, walkable areas of Dallas to other urban, walkable areas of Dallas. 99% of suburbanites are only going to use DART once a year to get to the State Fair anyway, so I don’t understand the need to woo them. Yet we see extensions being built into sparsley populated areas including the upcoming south Dallas DART rail extension (aka massive waste of money to appease crooked South Dallas politicians). It creates a system that’s mediocre for urban dwellers and suburbanites alike. Find funding for the Knox Henderson Station, and then extend service hours until 3am! And then find funding for an east-west line connecting Cityplace to Love field with stops in Uptown and Oak Lawn, terminating at a true Love Field station. This station should be a DART and City of Dallas priority! the stairs to the station are right in front go the Pei Wei at the frontage road and Willis in the west side of 75. this station should be built immediately. I have a question, there is a section before City Central, going towards downtown, where there is a tunnel going to the right. Same thing for going northward after City Central, with the tunnel going to the right. Where do these tunnels lead? There are lights going down those tunnels and I always wondered where they lead to. I live in the area and wish they would build it. The problem is now it will cost way more to build because you can’t stop trains already using the tunnels. This limits construction to just 4 hours a day and requires quite a lot of special needs in the building because it’s an active train line. What was once a few million to finish is now expected to cost 100 million to finish. Unless someone has that in their back pocket, we are never going to see a station there.